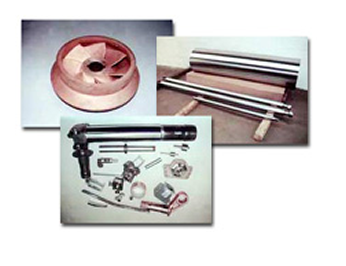 Diamond Chrome Plating, Inc. is a recognized leader for Chemical Processing (Plating, Coating) providing a broad range of Metal Finishing services to the Aerospace & Aircraft markets, Government & Defense markets, and select Commercial industries. We have process approvals from most of the major Aerospace manufacturers and their top-tier suppliers. Diamond Chrome Plating, Inc. is a privately owned corporation (established 11/23/1953) located in Howell, Michigan, USA. Our operations started out in a small 7,500 sq. ft. building. Five expansions over the years have brought us to the present 35,000 sq. ft. building filling a city block. Our facility includes Administrative Offices, Quality Assurance and Process Engineering, Chemical Laboratory (Wet & Dry Lab), Production, Tool Room, Maintenance, Quality Control Inspection, Shipping & Receiving, along with Waste Treatment and Storage areas. Our facility employees a highly trained workforce of 65 - 70 team members spread over two shifts. We provide local pickup and delivery services to the greater Detroit and Jackson, MI areas. Diamond Chrome Plating, Inc. has maintained Nadcap accreditation certification since 2003 for both AC7108 (Chemical Processing) and AC7004 (Aerospace Quality System). Each designated process is internally audited at least once a year on a published schedule managed by the Quality Assurance Manager and Internal Audit Team. The QMS system is maintained and continually improved through the use of the quality policy, quality objectives, audit results, analysis of data, corrective and preventive action, and management review. Diamond Chrome Plating, Inc. is an ITAR (International Traffic in Arms Regulations) registered company participating in Import/Export activities of defense-related articles. 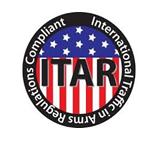 Our ITAR Registrant Code is M35272 and our current export registration expires 04/30/2019. Currently, DCPI is only importing and exporting to Canada and has experience with various license filing (DSP-5, DSP-61, DSP-62), along with border control regulations through our appointed customs broker. We only employ U.S. citizens or legal green card holders authorized to work in the U.S. All employees are subject to a new hire pre-employment physical and drug screening. Drug screen testing is also performed randomly through the year and annual physicals, blood work, and vision acuity testing are also performed.